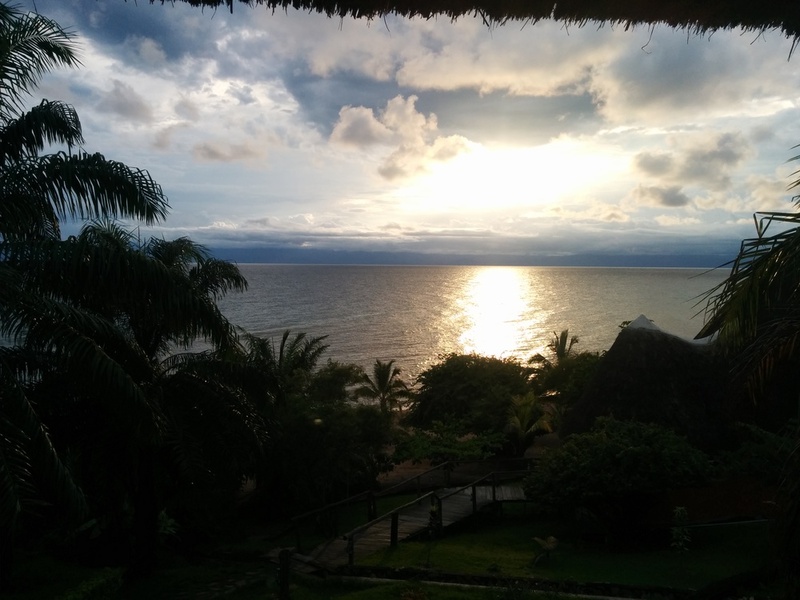 Longer blog posts will follow soon about my recent 8 day vacation in Burundi, but before that I really need to tell you all about the hidden paradise I found in Burundi - Tanganyika blue bay an amazing resort on the shores of Lake Tanganyika in Rumonge, Burundi. I went to Rumonge, searching for answers, seeking solace after weeks of stress that saw me get diagnosed with fatigue by the doctor. The doctor pretty much recommended I take a break - from consulting, from book launches, from hectic travels etc. I decided there and then that I wanted to go off to somewhere remote by a lake, river or ocean and take the time for introspection. I could not have chosen a more amazing place for this than Tanganyika Blue bay. What did I love about the place? Everything. 1. The amazing beach - I had fallen in love with the location from the pictures on the website. Usually one should not trust website pics as of course they are taken from the best angles, with the best lighting and with great cameras. In this case though, the actual beauty of the place even surpassed that of the pics on the website. As soon as I arrived after my long long flight (that's what I get for getting the cheapest ticket that has you stop in Addis, Kigali and finally Bujumbura..:-) I thought I would get to the location and pass out, but I was immediately mesmerized by the beauty of the lake and the beach. I found myself sitting on the pier, singing and writing poetry - that is how inspiring the sight was. 2. The exceptional service - Even before getting to Burundi, I was impressed by how prompt they were to reply to all my emails with information requests (I asked about everything - the weather, ease of changing money etc, and they were always so detailed and polite in their responses.) On arriving in Bujumbura, I was warmly welcomed at the airport by the lady who had helped with my booking. At the resort, I was warmly welcomed by the owner and his family. During my time at the resort, the staff gave me all I could have asked for and more. They would set my breakfast table right by the lake and under a tree. Next to me they would set up my day bed as they knew I enjoyed swimming after breakfast. When the skies turned grey, they invited me to the lovely VIP section which allowed me to have an outdoorsy feeling, but still remain dry. They let me and my friends use this section as much as we wanted during our stay. The waiters always recommended new places to set up the dinner table "Today's sunset is lovely. We can put your dinner table on the pier." I was so impressed by how much they paid attention to detail and went out of their way to spoil us. We never lacked for anything during the vacation. I give special thanks to the owner, his wife and his lovely family, Susan, Joseph, Celestin, Nestor and Joseline for making our stay at Tanganyika blue bay such an amazing experience.